These presentation slides 43780 are complete compatible with Google Slides. Simple download PPTX and open the template in Google Slides. 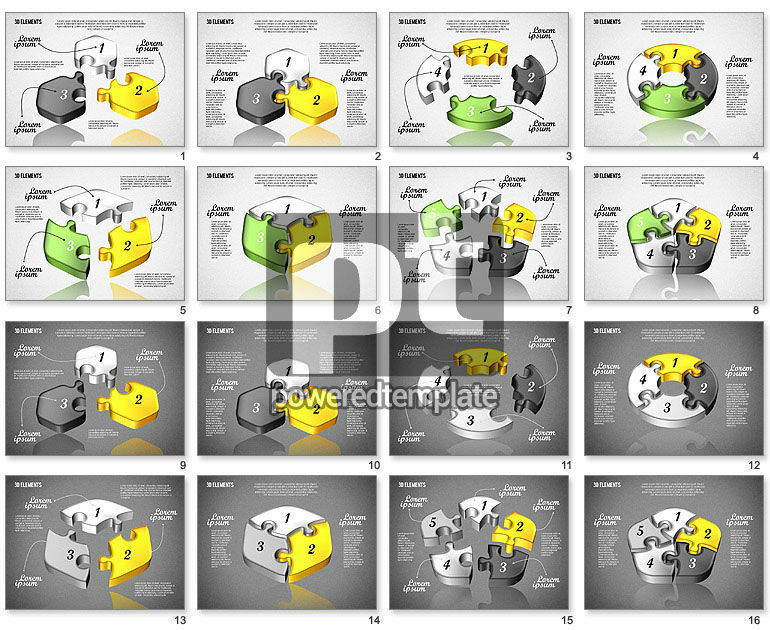 Meet this absolutely awesome jigsaw puzzles template made in a 3-D style. It features two variants of the backgrounds, areas for your text, numbers and multiple colorful puzzles connected into different shapes. This perfect set may work great for presentations dedicated to solving problems, finding solutions, building strategies, step by step actions, making success and other issues of this kind.